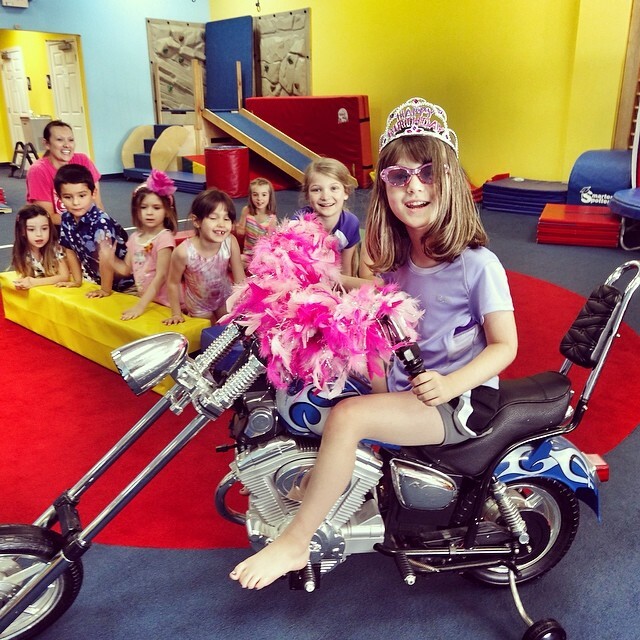 Sara riding a “chopper” during her birthday party at My Gym. So much fun. Today was a scheduled off-day from running and, as usual for my off-days, I ROCKED IT! 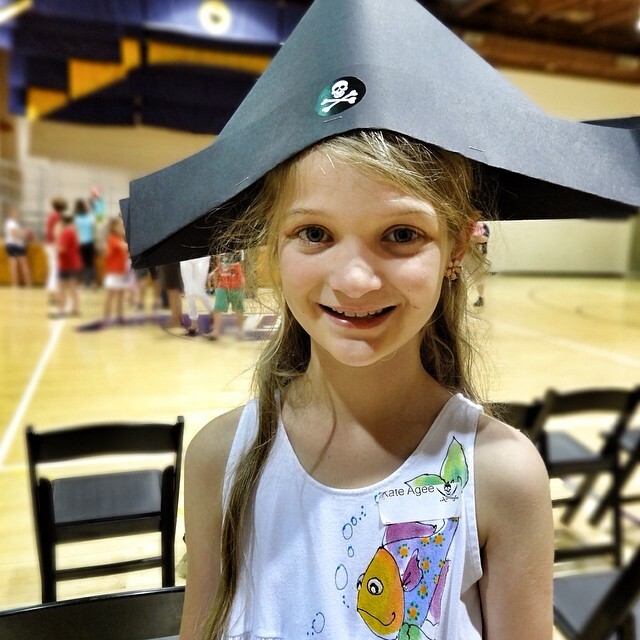 Pirate Kate after her final performance at @LipscombAcademy Fine Arts Camp. Ahoy Me Hearties! STG Training – Week 1: My Legs are SHOT (But it feels great)! While climbing “3-mile-hill” (see peak below), my legs were SCREAMING, and had Nathan not been right beside me, I very likely would have stopped and walked. For students in my Wednesday night class on The Life of Abraham: Handouts and Notes for Lesson 18 are now available online. Lord willing we will cover this text tomorrow night at 6:30pm at Bellevue Church of Christ! Today’s plan was for 8-miles at “easy” pace, and I was joined by my friend Brian on the Harpeth River Greenway at 5:30am. The humidity was again pretty dense (there was even a low-lying fog), and temps were slightly higher than yesterday. We started off by the driving range on Old Harding, and ran 3.25-miles out and back on the greenway. Our pace was very chill, but I still nailed the high-end of my “easy” range on every split but the first one. It is already obvious to me than many of the goal pace ranges in the Hansons Plan will have to be modified as the heat and humidity continue to rise in Middle Tennessee. 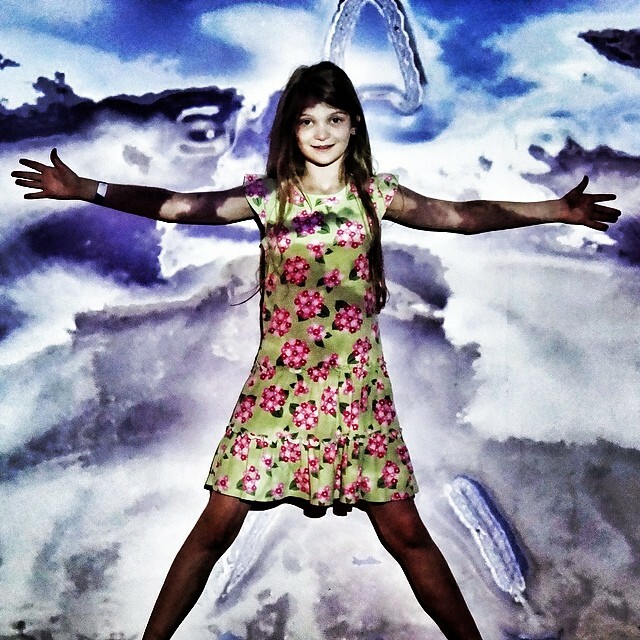 Kate having fun with “PlayMotion” at Adventure Science Center.